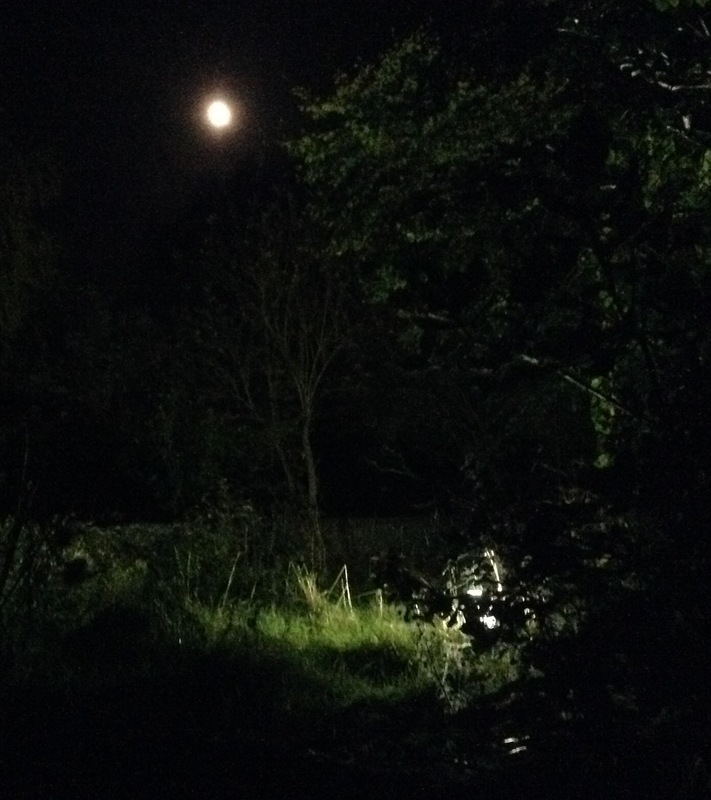 Wet, cold and generally miz - why should any moth want to go flying on nights like these? Dating and mating is the answer, I guess. 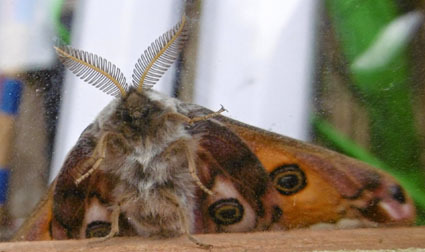 And for the moth with any eye for beauty, there are a few lovely visitors still around. Look at these three, for example. 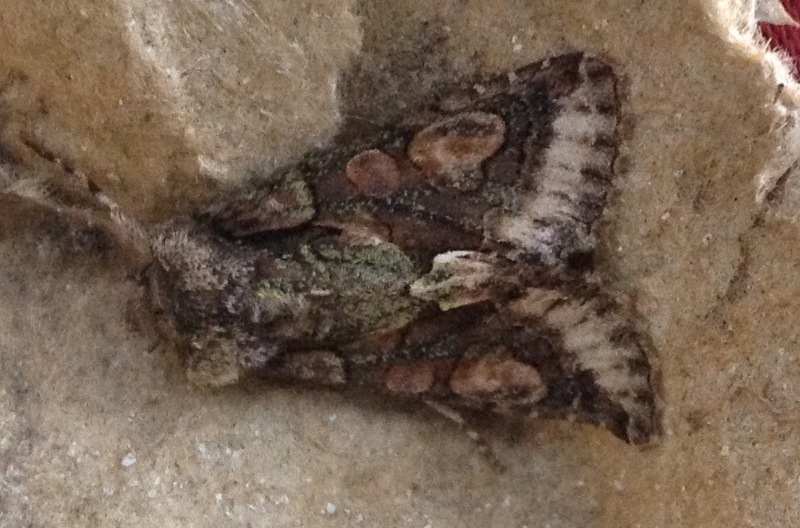 At the top, two pictures of the same delightful Green-brindled Crescent, a frequenter of over-ripe blackberries - the ones which, according to my Mum, the Devil's got into. Just above, a glowing Barred Sallow of the less frequent orange and purple form; the standard version is yellow and brown like a Welsh Rarebit. This species, too, has similar tastes to Beelzebub; hence, perhaps, its fire and brimstone colourway. And, below, that trusty and appropriately marvellous regular at this time of the year, a Merveille du Jour. Not my marvellous pyjamas, too. All these three were snoozing in the eggboxes this morning. 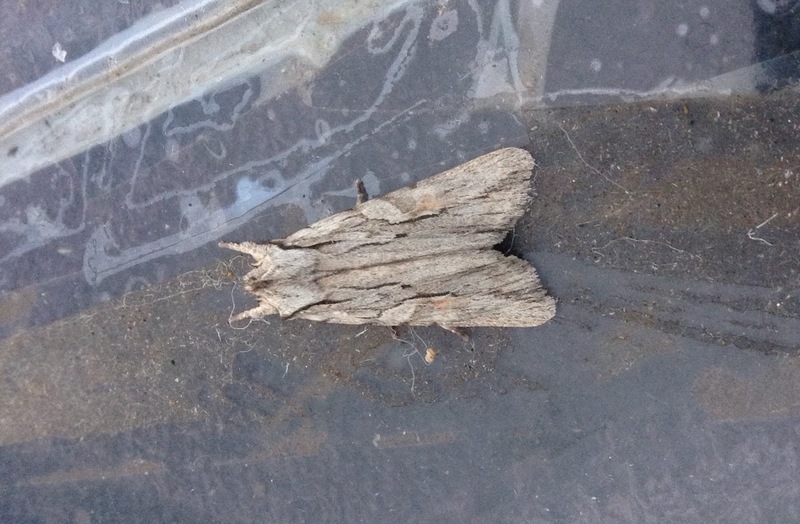 Alongside them was the contrasting Plain Jane below, a moth which will take over the trap increasingly as Winter approaches. I am fairly sure that it is a male November moth, but the distinction between November, Pale November, Autumnal and Winter moths can be a nice one and I am notoriously unreliable when it comes to such things. 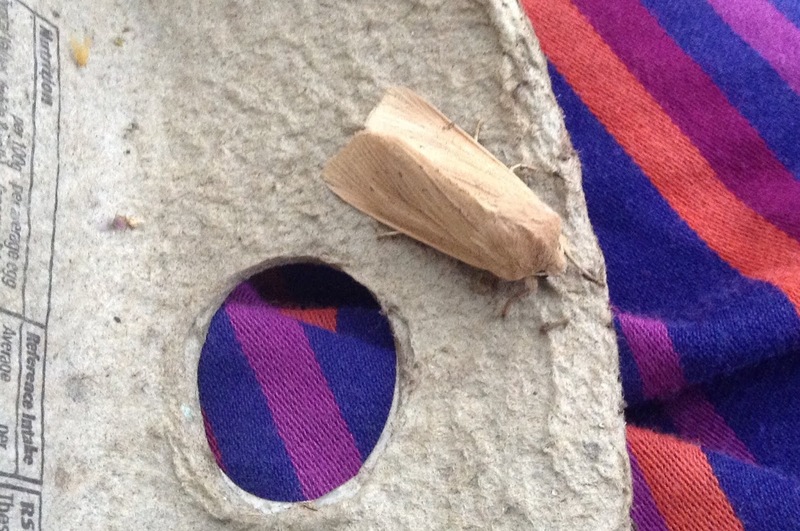 It was also a pleasure to find a Large Wainscot in the trap, my first this year although it has paid visits previously. This is a moth which goes out twice a night, firstly at dusk and secondly much later. He or she (probably the latter as it is mostly the female which visits light traps) will definitely be a late flyer because I did not put out the trap until after the ten o'clock news. All hail the third appearance in today's post of my vivid pyjamas. Unlike these hardy moths, butterflies are tucked away in hedges and outbuildings during these chilly months, occasionally fluttering out for an hour or two if the sun warms things up. A typical example has decided to hibernate in our living room where turning on the table lights regularly misleads it into thinking that the sun has come out. It's a Peacock, very common but also very lovely. This post dates back a couple of weeks but has been slumbering unfinished in the Drafts file and then got leap-frogged in my annual excitement at the arrival of the Merveilles du Jour. it doesn't concern particularly interesting moths so much as the effects or otherwise of their supposed navigational guiding light, the Moon. Here is the said Moon, first of all in the morning at about 6am when it was still shining strongly and then during the previous evening when its glow, as you can see, was a worthy rival for the light trap. Moth experts continue to debate about the relationship between the two but in general, and certainly on this evening in particular, a larger moon meant a smaller number of residents in the eggboxes. Not that they weren't attractive, whether in the understated grace of the Willow Beauty, above, or the distinctive shape of Blair's Shoulder-knot below. I am repeating myself, for those who have followed me faithfully over the years, but this is one of no fewer than three moths named after a Dr Blair who retired from the entomology department at the Natural History Museum to the Isle of Wight. 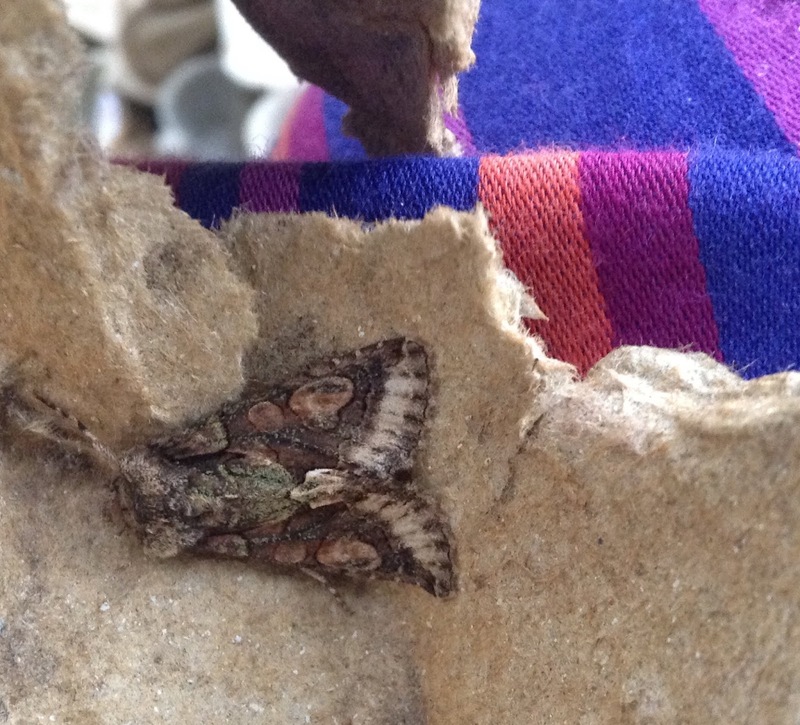 The latter is a well-known landfall for new additions to the UK list and he first recorded this moth there, and also Blair's Moch and Blair's Wainscot. Well done indeed! Finally a non-moth overnighter. 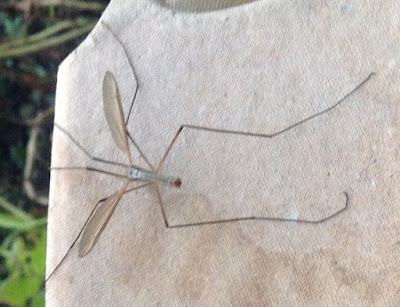 Who doesn't love a Daddy Longlegs?